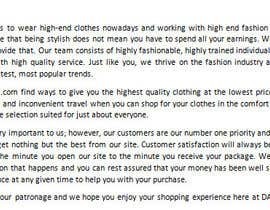 Need an "About us" page written for my online retailer store. 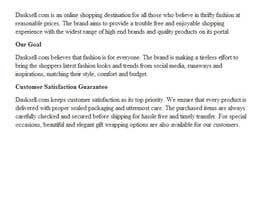 It has to be at least 300 words, with a fun and youthful tone throughout to match the nature of business. 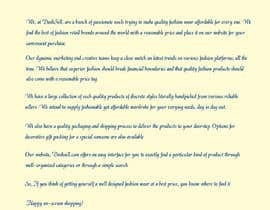 I need an expert writer who can use bit of informal method of writing original content and make it interesting. I will provide rough ideas and writer can make it interesting a by using creative inputs and fresh ideas. Here is the rough idea. 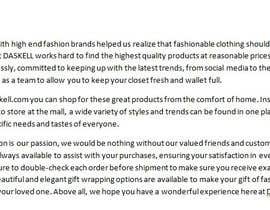 While working with high end fashion retail brands, we came to realize that fashion should be affordable. 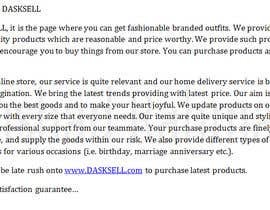 Our team at DASKSELL works hard to find the best quality around with the minimum price in the market. Here at [login to view URL], our marketing/creative team works around the clock to keep up with the latest trends from social media, runways or inspirations. We consistently bring you the latest looks with an affordable price tag. 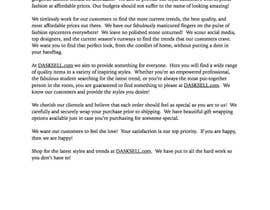 Our goal is for you to shop for great products at your comfort. 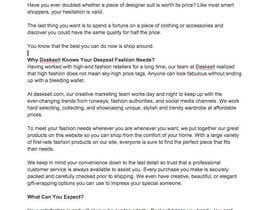 There is a large rang of quality products with different styles and trends to fit everybody’s needs hitting the site every day. Our relationship with every customer is very important, so our professional customer is always here for you. Your purchased items will be carefully checked and securely packed before shipping. We have gift beautiful and elegant wrapping options for you special someone. 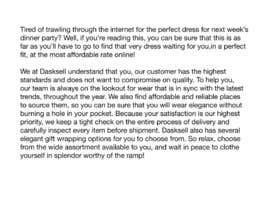 Your satisfaction is and will always be our top priority. what are the rough ideas you talked about??? what are the rough ideas?